BRYAN EATON/Staff photo. 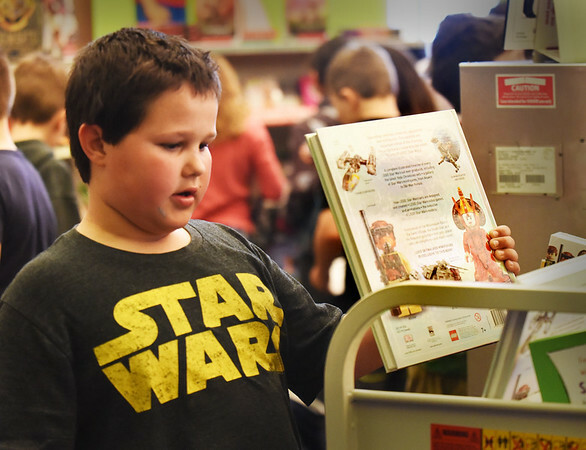 Daniel Medina, 9, checks out books on Star Wars, obviously a fan of the box office hits at the Bresnahan School Book Fair. Students were looking through books they liked, noting the price, then deciding later what books to buy which raises money for the school's library to purchase more books.